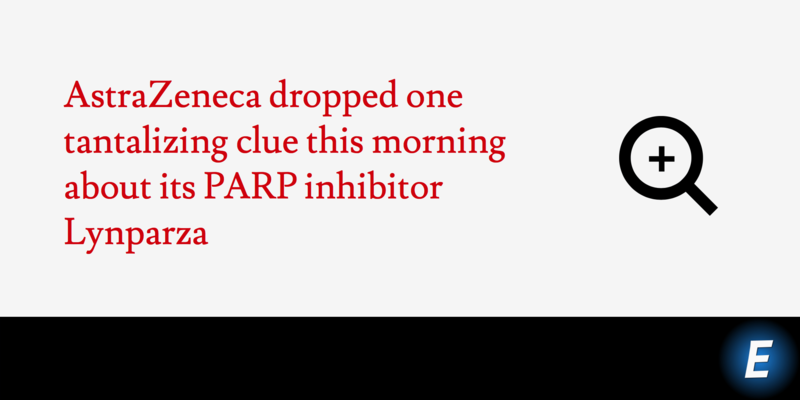 AstraZeneca dropped one very big, tantalizing clue this morning that will determine the fate of its PARP inhibitor Lynparza (olaparib). 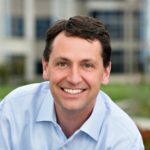 As rival PARPs come up the pipeline from Tesaro, Clovis and Pfizer, the pharma giant says that its Phase III ovarian cancer study came up with statistically significant results that beat out what we’ve seen so far. “Importantly, the median PFS in the Lynparza arm of SOLO-2 substantially exceeded that observed in the Phase II maintenance study in patients with platinum-sensitive relapsed ovarian cancer (Study 19),” AstraZeneca $AZN said in a release. Investigators tested the drug as a maintenance monotherapy compared with placebo in patients with platinum-sensitive relapsed or recurrent BRCA-mutated (BRCAm) ovarian cancer. And that’s all you’re going to get right now, as investigators gather their data for an upcoming scientific conference. Lynparza’s accelerated approval with shaky data and a negative panel vote is one of the best things that has happened to that company since Pascal Soriot took over. And they need to do better than the weak results that got them over the finish line if they expect to preserve the win in the market. The developers in the field did not all go after the same patient population, which makes comparisons difficult. However, each new data point is being given a careful evaluation as the rival companies look to divvy up the market. In particular, anything that polishes Lynparza’s data will be compared closely with Tesaro’s niraparib, also being pitched as a second-line maintenance therapy. Jefferies notes that the data is likely to set up a head-to-head rivalry between AstraZeneca and Tesaro. We await full results SOLO-2 at an as-yet-to-be-disclosed medical meeting to compare the results to those seen with TSRO’s (OP) niraparib in the gBRCAmut cohort of the Phase 3 NOVA trial. We expect the benefit of the two drugs to be broadly similar and assume this in our model. While we currently expect Lynparza and niraparib to split the market in gBRCAmut patients, niraparib is likely to benefit from an expanded indication including homologous recombination deficient (HRD) positive patients, and we also believe likely HRD-negative patients as well. Tesaro’s shares are down 3% in pre-market trading. It’s likely to be quite a dustup. Pfizer spent $14 billion to buy Medivation with its prostate cancer drug as well as an experimental PARP, talazoparib. Clovis $CLVS had to grapple with considerable skepticism over its recent batch of mixed data for rucaparib. And Tesaro $TSRO is also hunting an approval of niraparib for a broad second-line maintenance group, without the use of a diagnostic.